ST. LOUIS, Mo - After he was convicted of armed robbery in 2000, Cornealious Anderson was sentenced to 13 years behind bars and told to await instructions on when and where to report to prison. But those instructions never came. So Anderson didn't report. He spent the next 13 years turning his life around - getting married, raising three kids, learning a trade. He made no effort to conceal his identity or whereabouts. Anderson paid taxes and traffic tickets, renewed his driver's license and registered his businesses. Not until last year did the Missouri Department of Corrections discover the clerical error that kept him free. Now he's fighting for release, saying authorities missed their chance to incarcerate him. In a single day last July, Anderson's life was turned upside-down. "They sent a SWAT team to his house," Anderson's attorney, Patrick Megaro, said Wednesday. "He was getting his 3-year-old daughter breakfast, and these men with automatic weapons bang on his door." 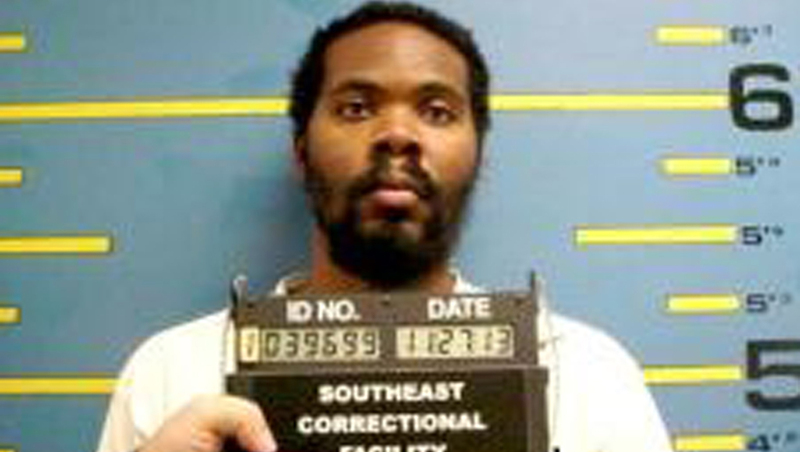 Anderson, 37, was taken to Southeast Correctional Center in Charleston, Mo., to begin serving the sentence. A court appeal filed in February asks for him to be freed. Anderson had just one arrest for marijuana possession on his record when he and a cousin robbed an assistant manager for a St. Charles Burger King restaurant on Aug. 15, 1999. The men, wearing masks, showed a gun (it turned out to be a BB gun) and demanded money that was about to be placed in a deposit box. The worker gave up the bag of cash, and the masked men drove away. The worker turned in the car's license plate number. Anderson was convicted and sentenced to 13 years in prison and waited for word on what to do next. "His attorney said, `Listen, they're going to get you some day, so just wait for the order,'" Megaro said. "As time goes by, the order never comes. What does a normal person believe? Maybe they forgot about it. It's only human nature to hope they just let it go. He really didn't know what to do. "A year goes by, two years, five years, 10 years. He's thinking, `I guess they don't care about me anymore,'" Megaro said. So Anderson went about his life. Megaro said he was not a fugitive, was never on the run. In fact, just the opposite. Megaro described Anderson as a model citizen - a married father who became a carpenter and started three businesses. He paid income and property taxes and kept a driver's license showing his true name and address. When he was pulled over for a couple of traffic violations, nothing showed up indicating he should be in prison. That's why Anderson was shocked when the marshals arrived. He now lives among the general population at Charleston. Megaro said Anderson is holding his own- barely. "He's doing his best to keep his spirits up," Megaro said. "Each day that goes by, more hope is lost. It's a daily struggle for him." Peter Joy, director of the Criminal Justice Clinic at the Washington University School of Law in St. Louis, said it isn't unusual in a country with such a high prison population for sentences to fall through the cracks. What is unusual, Joy said, is for it to go unnoticed for so long. "The real tragedy here is that one aspect of prison is the idea of rehabilitation," Joy said. "Here we have somebody who has led a perfect life for 13 years. He did everything right. So he doesn't need rehabilitation." What happens next isn't clear. Missouri Attorney General Chris Koster on Tuesday filed a court response that said the state is justified in making Anderson serve the sentence. However, Koster wrote that Megaro could refile the case as an action against the director of the Department of Corrections, which could give Anderson credit for the time he was technically at large. Megaro doubted that strategy would work. He said the law does not allow credit for time served when the convicted person was not behind bars. "I don't think that's an option, unfortunately," Megaro said. Instead, he's relying on case law. The last time anything like this happened in Missouri was 1912. In that case, the convicted man was set free, Megaro said. Gov. Jay Nixon could also commute the sentence. A spokesman for Nixon declined to comment.